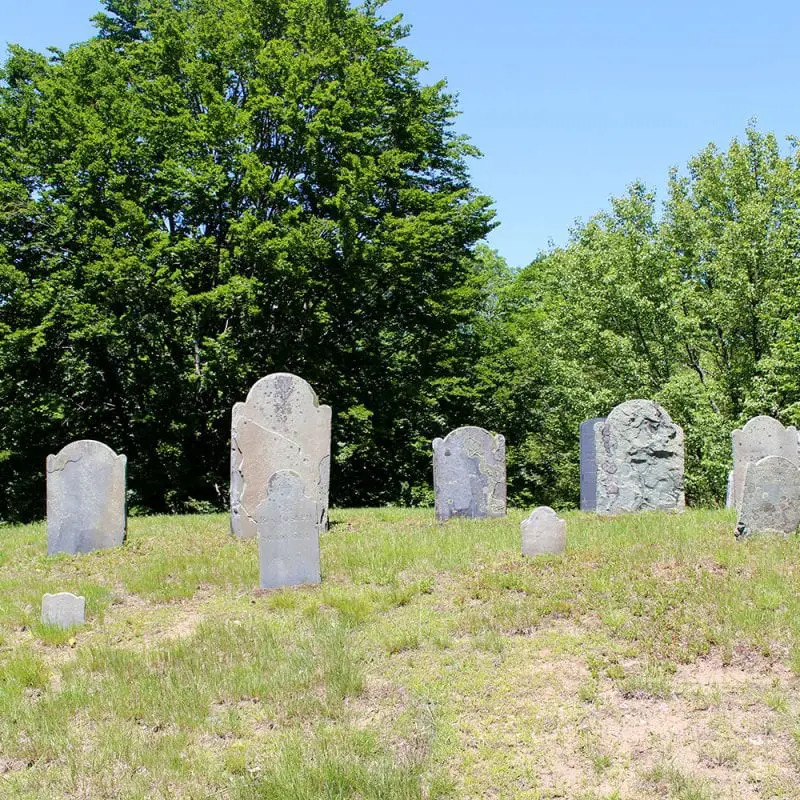 On a small stretch of Route 1A, traveling north through Wenham, are three sites significant to the witchcraft trials of 1692. 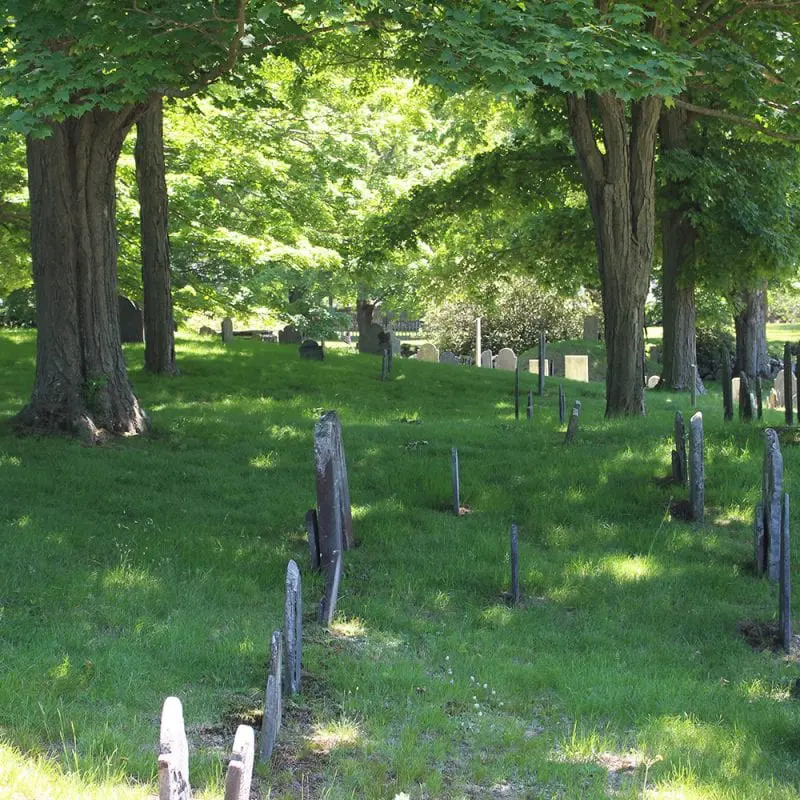 One is the burying ground, where three notable people are interred. Two members of the Fisk (alternate spelling Fiske) family, both of whom served on the jury, are buried here. 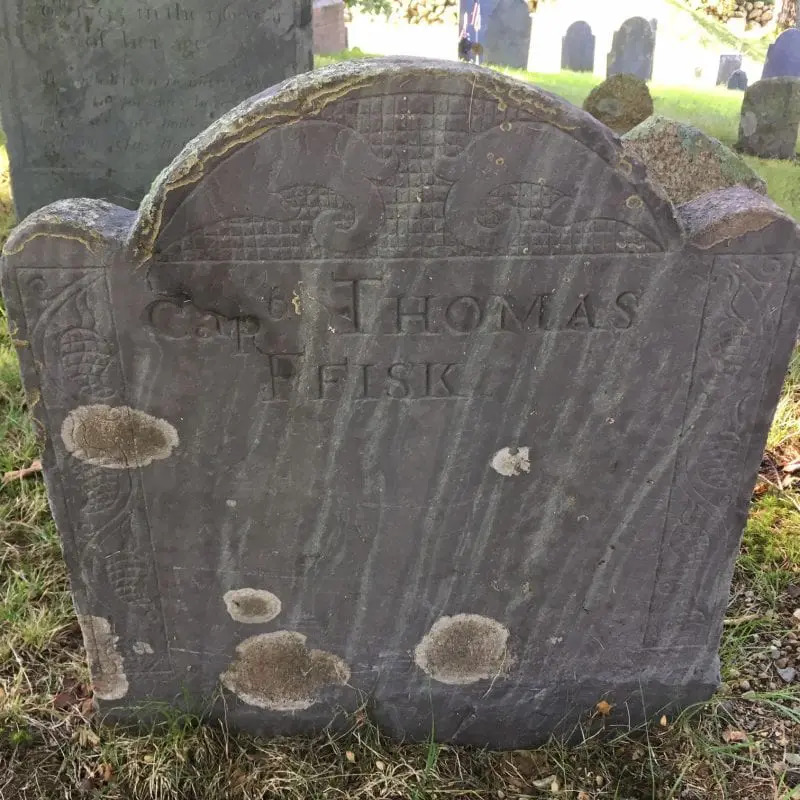 Captain Thomas Fisk Jr. (died 1723) was the son of the jury foreman, Captain Thomas Fisk Sr. (died 1707). 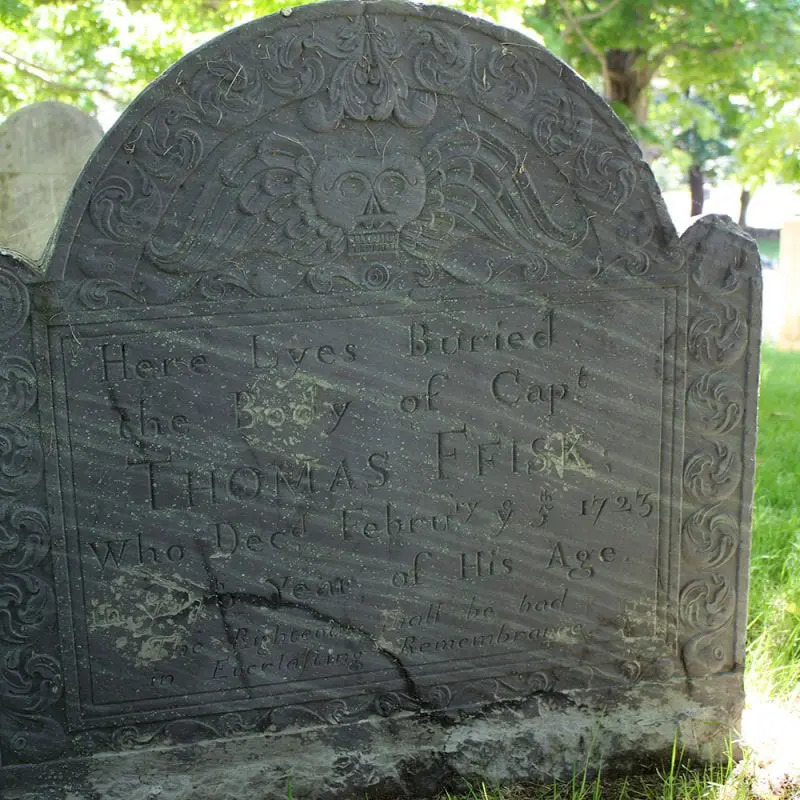 Also buried here is another jury member, Deacon William Fisk. Captain Thomas Fisk Sr. led the Salem militia during King Philip’s War. Foreman Fisk also oversaw one of the saddest moments of the witchcraft trials. Rebecca Nurse was originally found not guilty at her trial, a verdict announced by the foreman. After the outcry that followed, the magistrates and Fisk recalled something Nurse had said, in response to an accusation from Dorcas Hoar: “What? Do you bring her? She is one of us.” A witch like us, the judges wondered? Foreman Fisk, after a court recess, asked Nurse what she meant by her statement. Hard of hearing, and overwhelmed, Nurse did not reply. Fisk took this to mean the magistrates’ interpretation was correct. In truth, Nurse meant that Hoar had been a fellow prisoner, how could she now be an accuser? Tragically, Nurse had missed her chance to defend herself. A revised verdict was rendered, finding Rebecca Nurse guilty of witchcraft. She was executed on July 19. Main Street (Route 1A), 978-468-5520, ext. 6. A short distance north of Wenham Lake, on the right side of the street headed north. Across from the Sports Stop. Reverend Joseph Gerrish, minister of the First Church of Wenham in 1692, is buried here beneath a red sandstone table. Four of Gerrish’s parishioners were members of the jury of the Court of Oyer and Terminer. 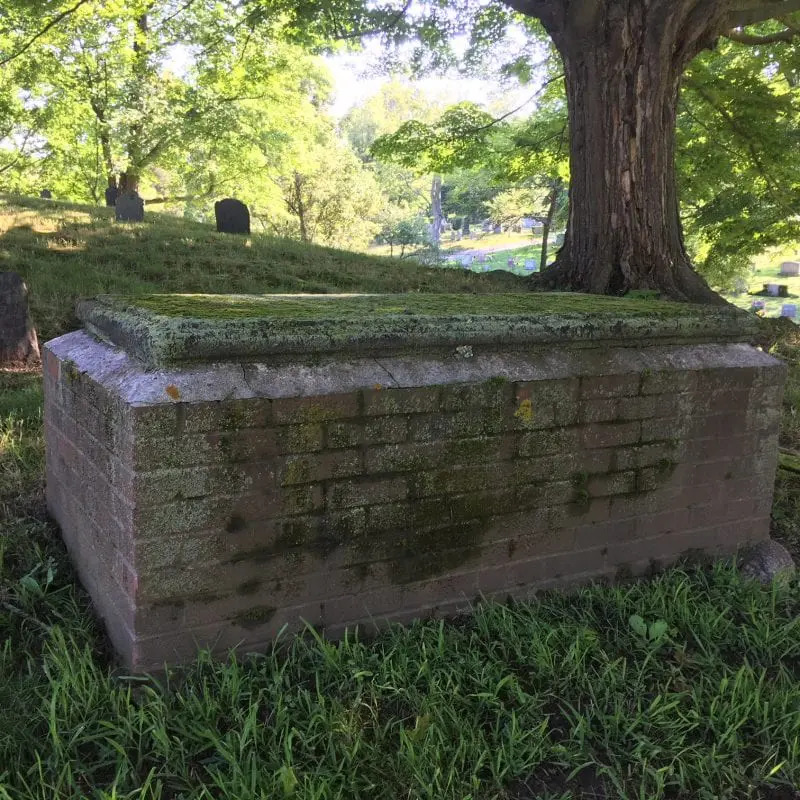 In November of 1692 Wenham teenager Mary Herrick came to see Reverend Gerrish and Reverend John Hale of Beverly, claiming she was afflicted by the specter of Mistress Hale (the Beverly reverend’s wife), and was also visited by the ghost of Mary Easty, who had been executed on September 22. Joseph Gerrish was born in 1650 in Newbury, MA, graduated from Harvard College in 1669, and was ordained in 1674. He died in 1720 at the age of 70. 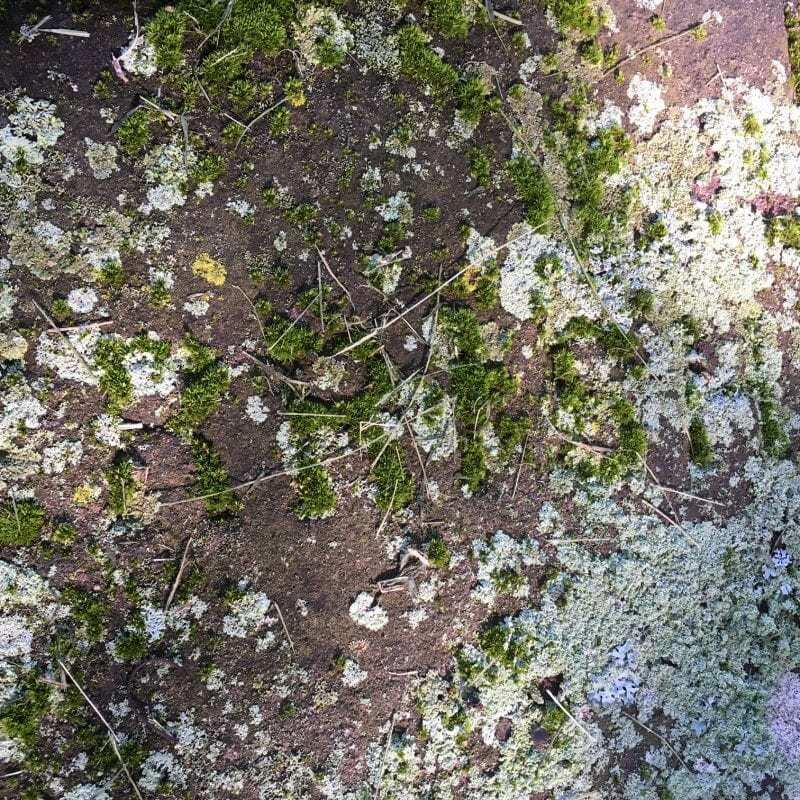 You can just make out the letters E-R-R-I-S-H in moss on top of Reverend Joseph Gerrish's tomb.